The main stage at CNN’s Republican debate Tuesday became a forum for declarations of resolve against ISIS – but beneath the tough talk, distinctions between leading candidates became clear on subjects ranging from how to carry out the war against ISIS, and how to secure the United States. A brewing disagreement between Sens. Ted Cruz and Marco Rubio erupted quickly over questions about a bill, supported by Cruz and other Senate conservatives, that effectively ended the government’s mass surveillance program. Cruz said that the so-called USA Freedom Act put a stop to bulk surveillance while allowing the intelligence community to monitor a greater variety of communications technologies. “It gave us greater tools,” Cruz said. But in past weeks, Rubio has said that the bill highlights an “isolationist” tendency in Cruz, and that the federal government will be limited in its ability to collect information. The two men also sparred over how they would prosecute the war against ISIS. But Rubio, whose attacks on Cruz have sharpened as the two men vie for position in the Republican field, followed that ISIS could not be contained by airstrikes. Rubio said the ground force must be primarily made up of Sunni Arabs. 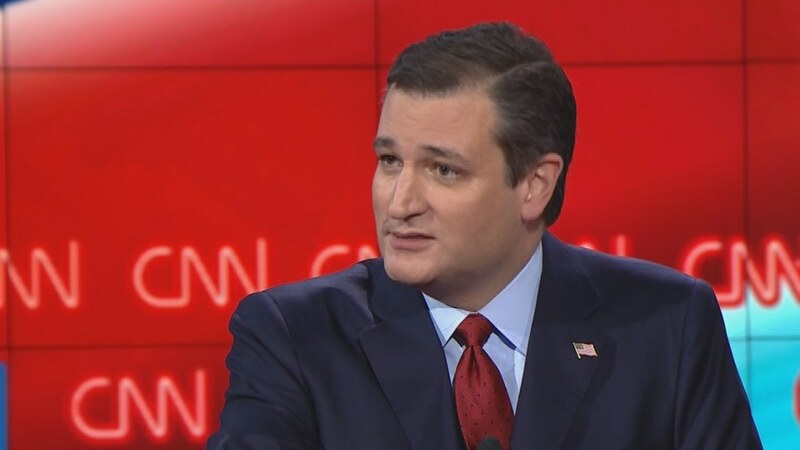 Later, speaking of the battlefield in Syria, Cruz said that it’s difficult to find local partners on the ground. “These moderate rebels end up being jihadists,” Cruz said.